View our past projects below. 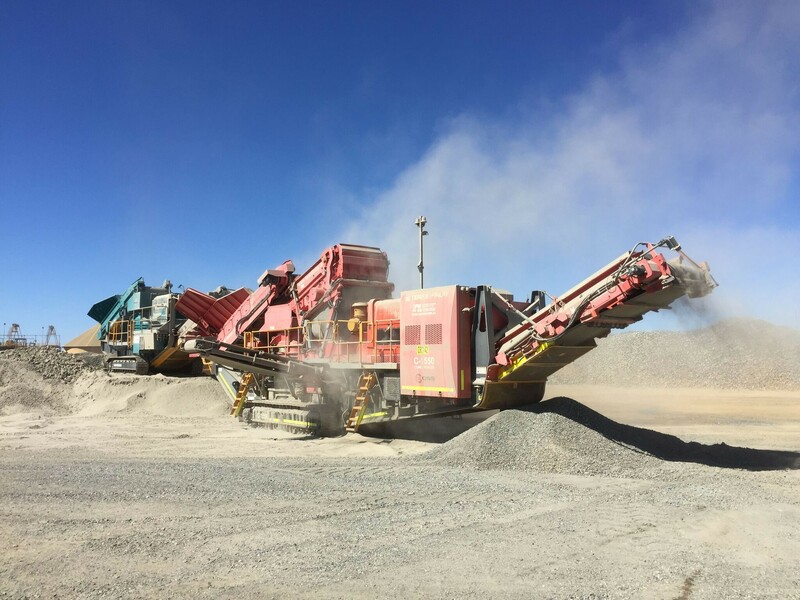 Project Description: -25mm Mill feed. 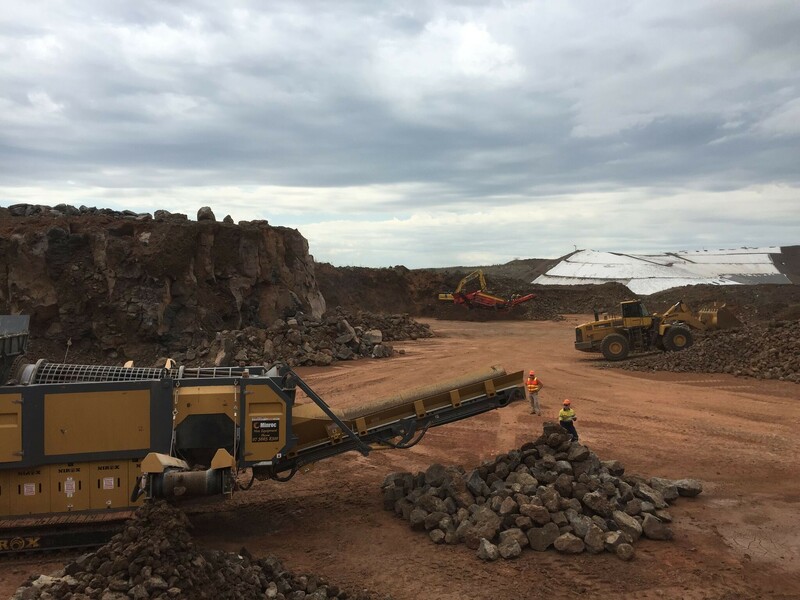 Notes: Hard Rock crushing contract using 3 stage crushing plant to supply supplementary mill feed to increase project tonnages. 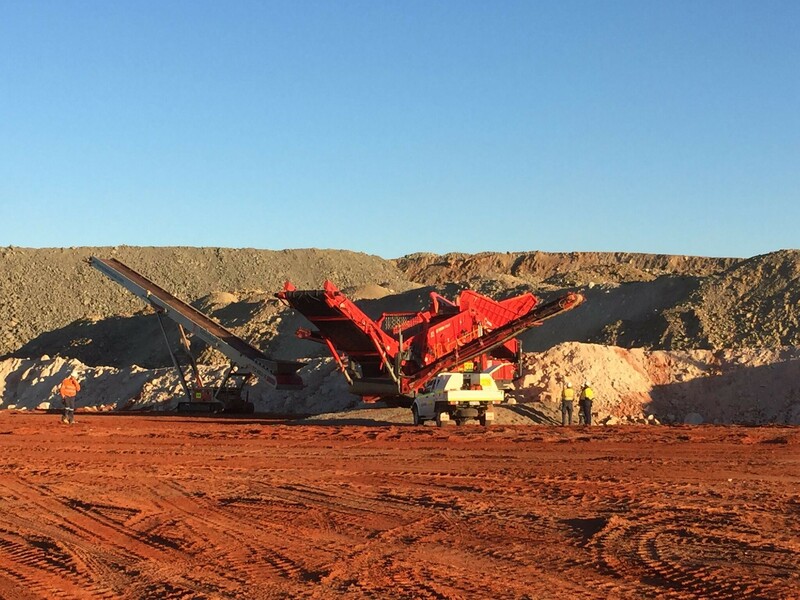 Project Description: -12mm Mill feed. 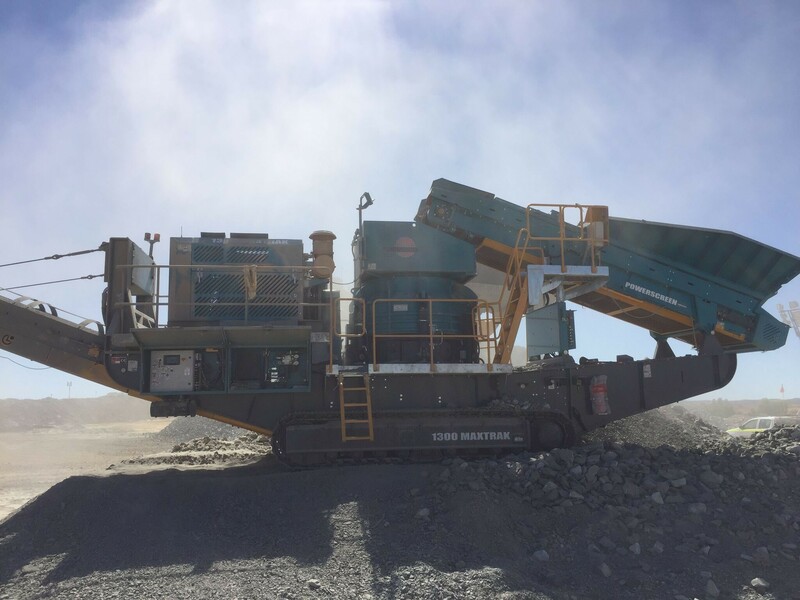 Project Parameters: CSS 2 stage crushing plant. 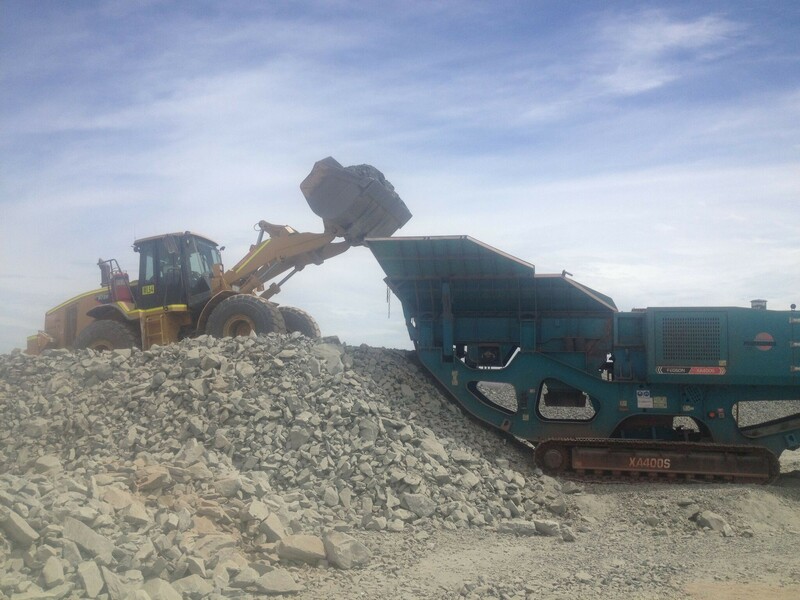 Project Parameters: Crush and Screen 170,000 ton low grade Nickel Stockpile. 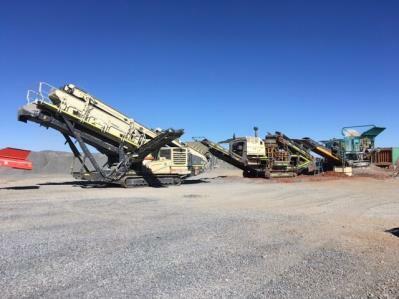 Project Parameters: Mob Crush Screen 50,000 tons Emergency mill feed. 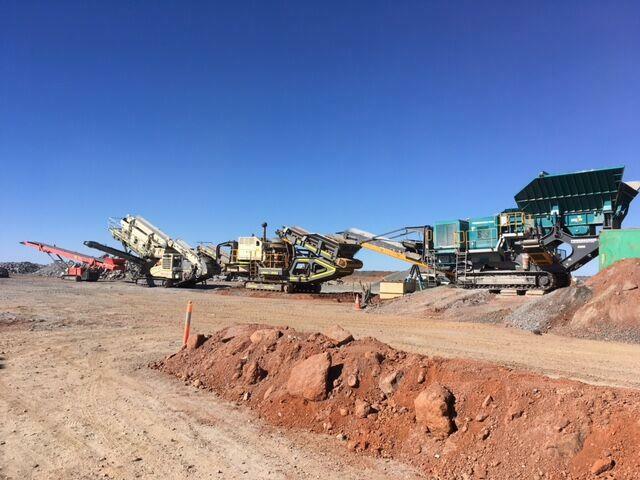 Extremely Hard ore.
Notes: Less the two weeks from first Client contact to Producing mill feed onsite. 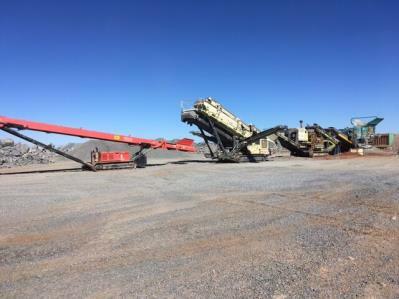 Project Parameters: Monthly 100,000t mine, crush and screen and transporting to the Rom via Road Train. Notes: CSS has been a complete service provider for this project by being the preferred materials handling Contractor. 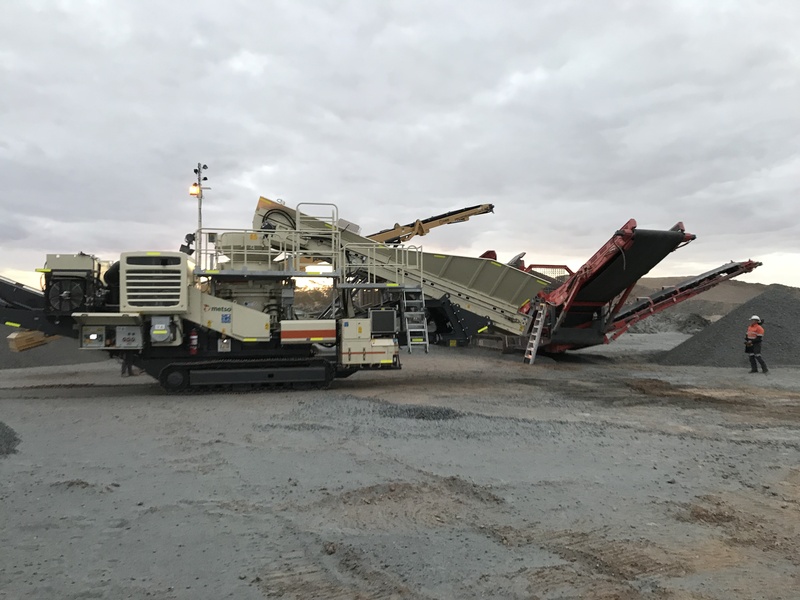 This project was moving out of trail basis this year into full capacity production and CSS has been appointed as the preferred materials handling Contractor. 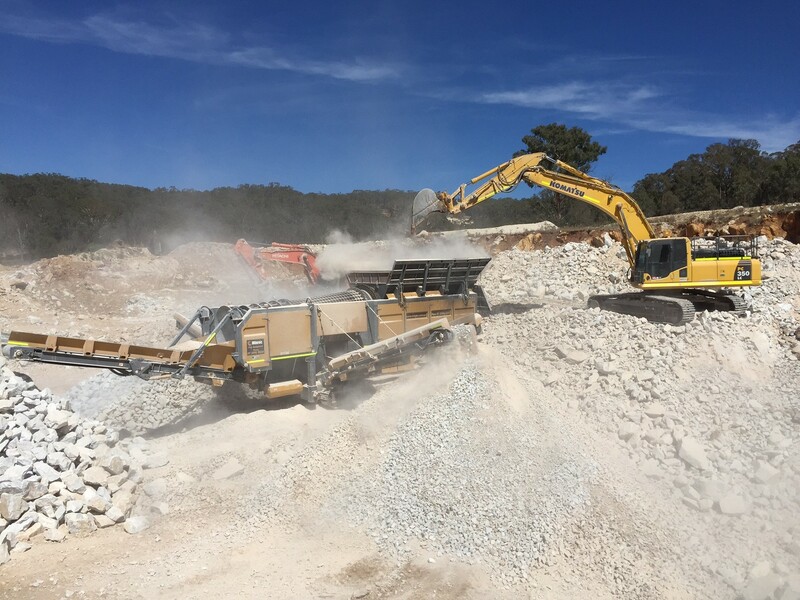 Project Description: Calcite separation from waste in OMYA Bathurst Quarry to upgrade quality of product delivered to the mill by using a mobile trommel. 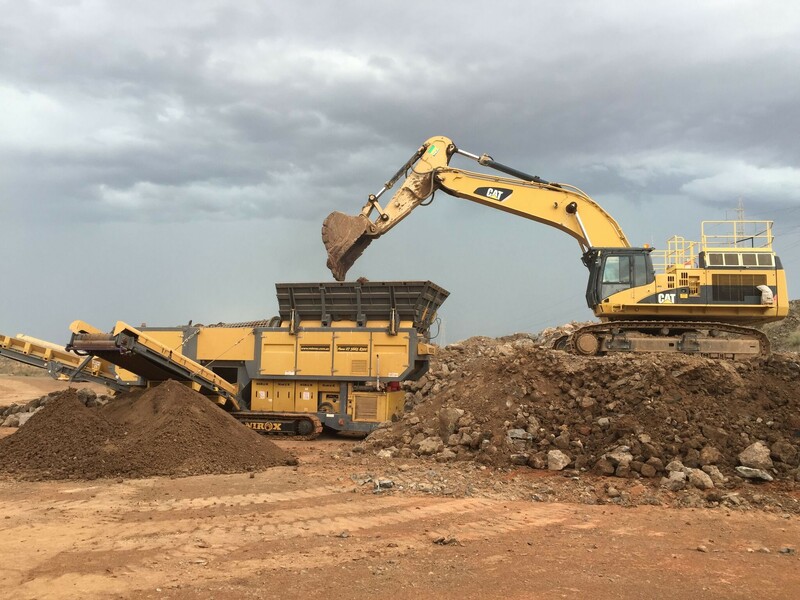 This needed to be done due to the amount offresh clay (Waste) in mined product. 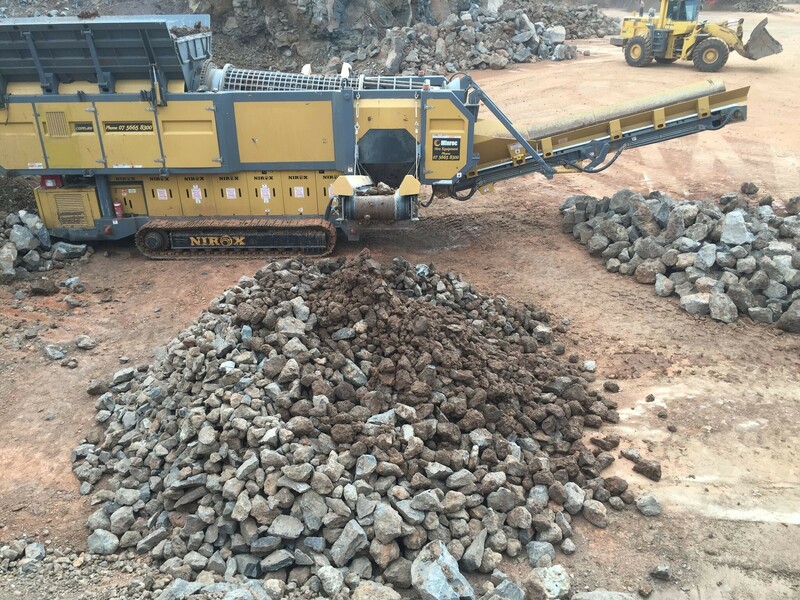 Project Parameters: Monthly minimum 50 000t processed material per month. 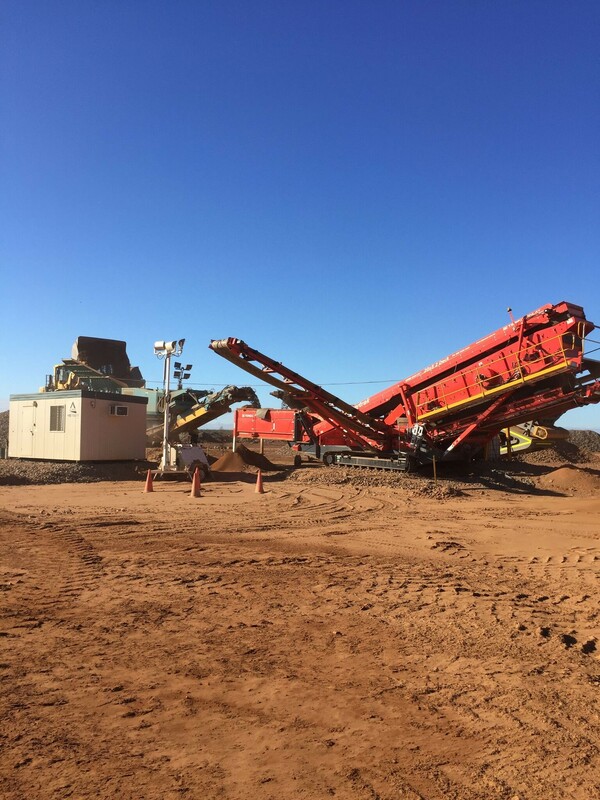 Notes: This project commenced in November 2015 following on from trails carried out in Melbourne Victoria with this mobile trommel. 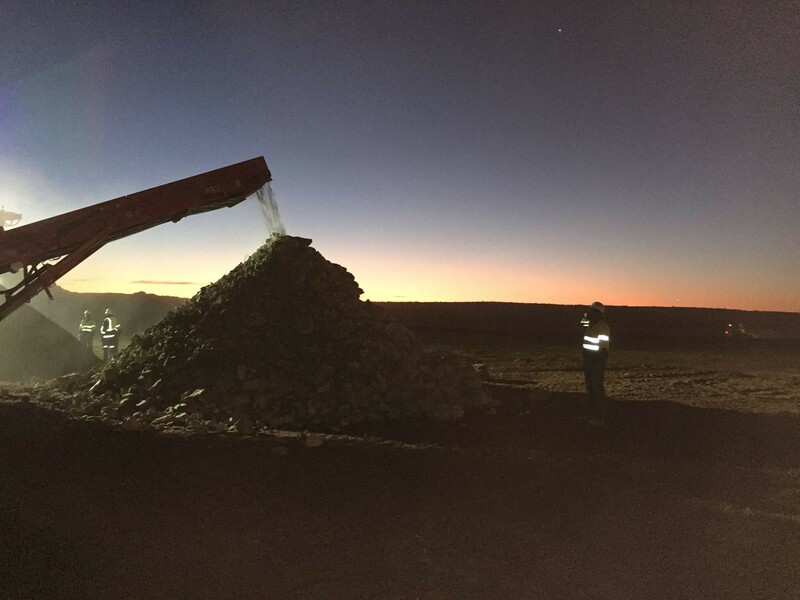 OMYA Quarries had issues with feed stock material quality being presented which effected the final product. 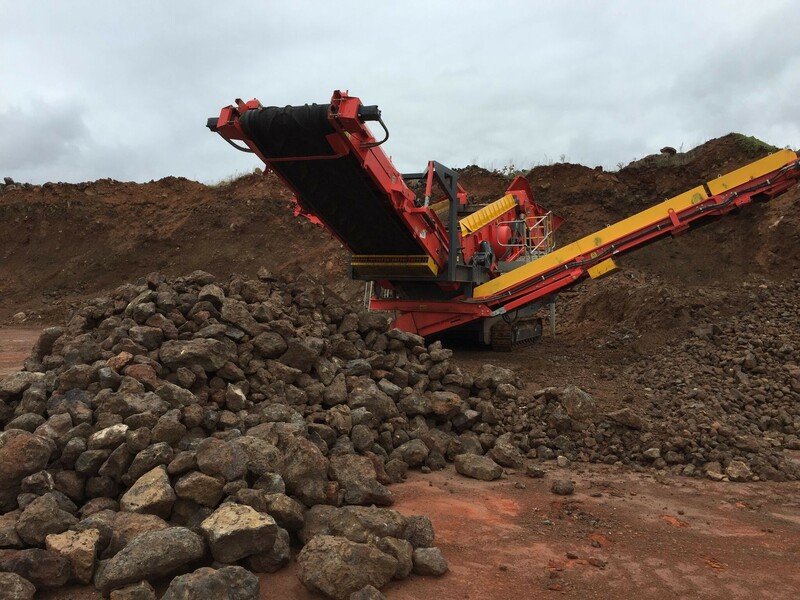 CSS as a solution based service provider put the concept forward utilising a mobile trommel to process and separate the waste. 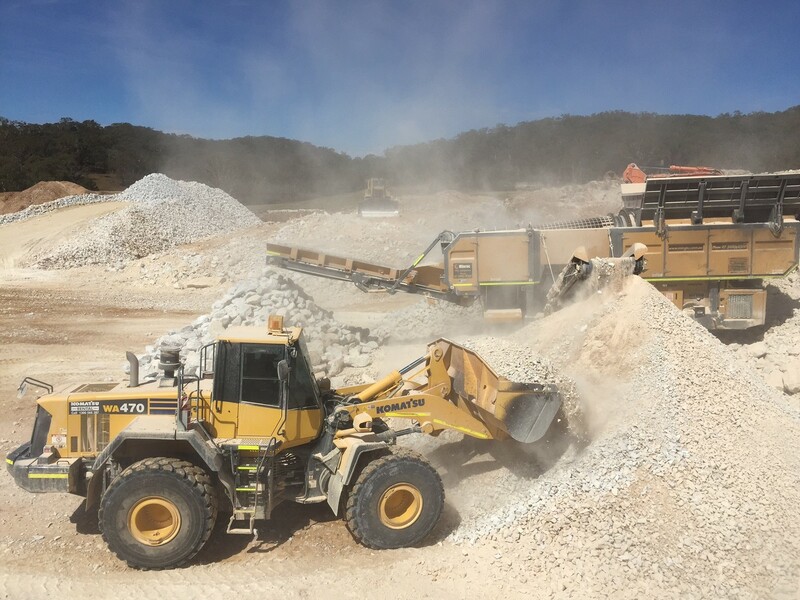 The initial trails have beensuccessful and it is envisaged that after a six month trial period, CSS will supply a bigger capacity unit on a contract basis to meet all the requirements for production and extend the quarry life by up to 10 years. 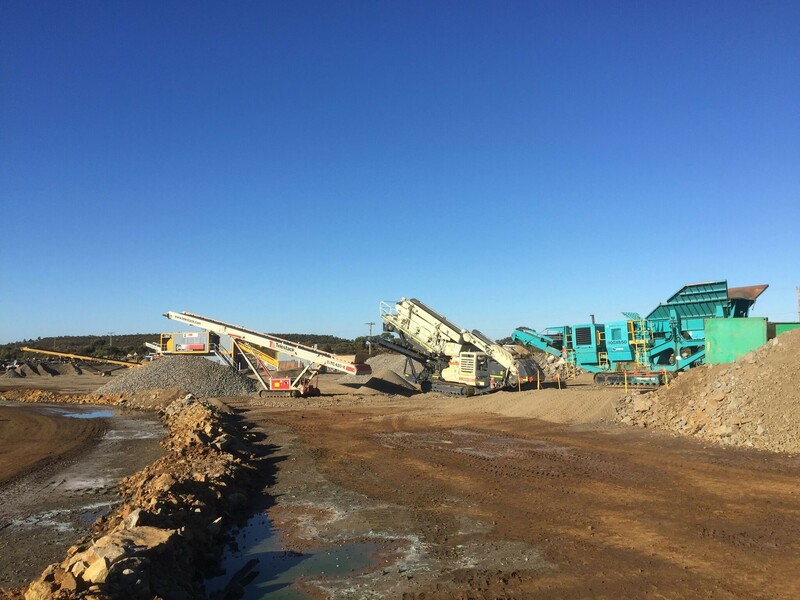 Project Description: Complete Mill feed Crush and Screen project ROM Material processed to -20mm all in project. 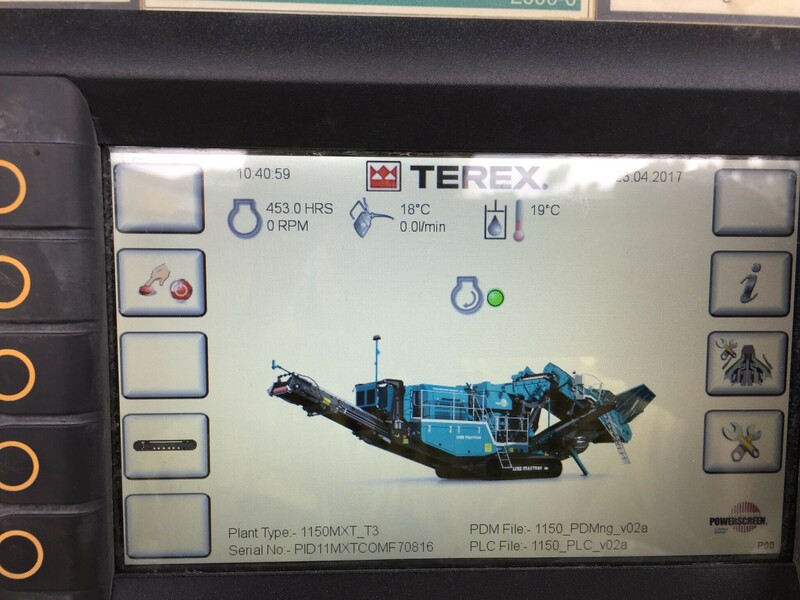 Notes: This project equipment consists of a primary Screen, and a secondary cone closed circuit delivering a -20mm product at 210t/hr run rate, with the capacity to increase to 350tph if enough feed stock is delivered to the ROM. Notes: This project showcased the alibility of CSS to be able to deliver a safe and professional turn key project in record time. 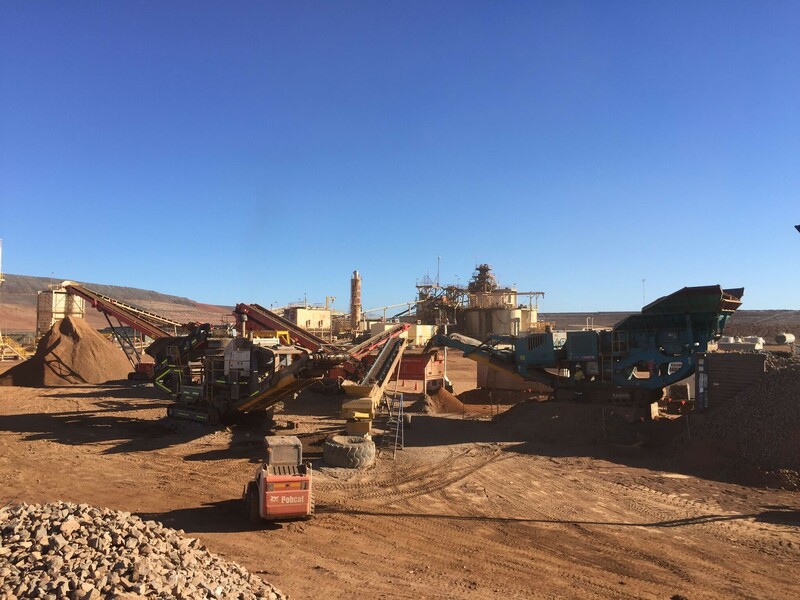 From first contact by Anglo Gold, mobilisation of two 893 reclaimer screens, 4 loaders and 11 personnel, the completion of emergency mill feed took 16 Days, ensuring the client did not suffer any production down time through the Tropicana Mill. This project was completed without any safety concerns and to the highest standard. 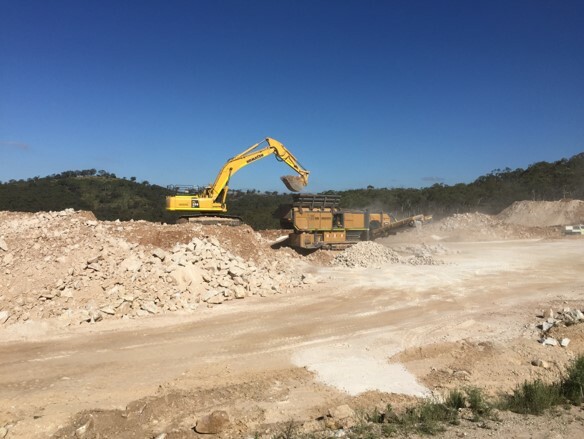 Notes: CSS Pty Ltd was contracted to process a minimum of 40,000t/month waste rock, with final product for Council tip cover. 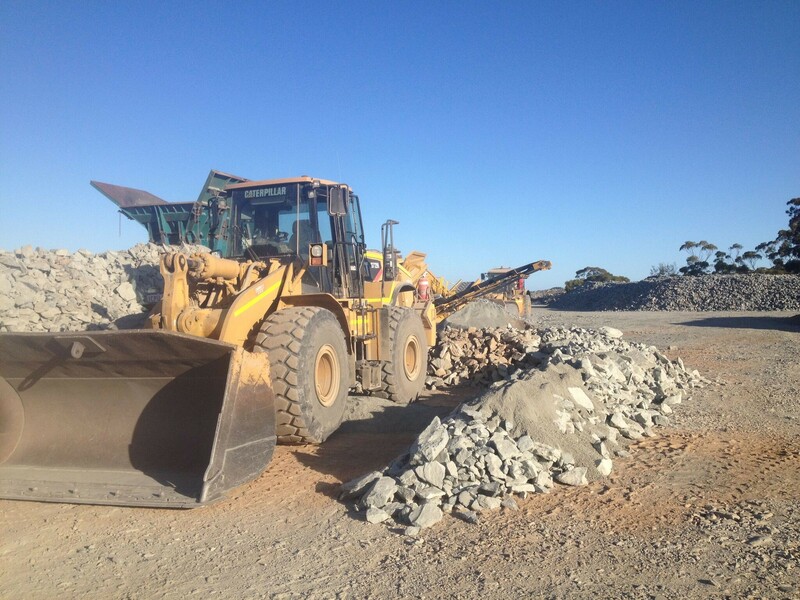 CSS was responsible for complete contract scope, mining, processing and stockpiling of material. 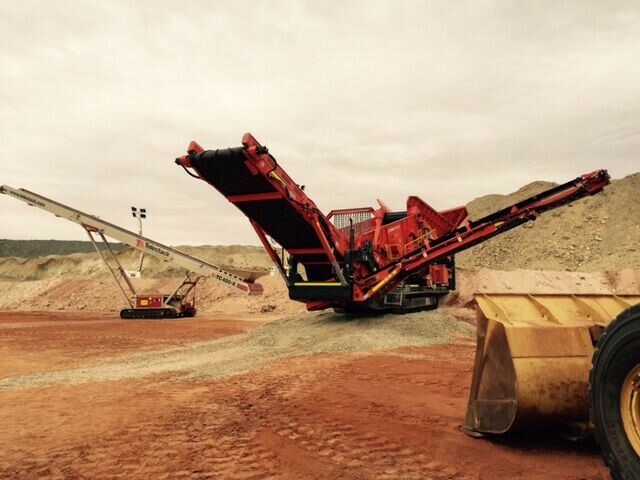 Mobile trommel was utilised for this project due to the nature of feed material and wet conditions. Project was completed on time and above client expectation of volume and quantity of product. 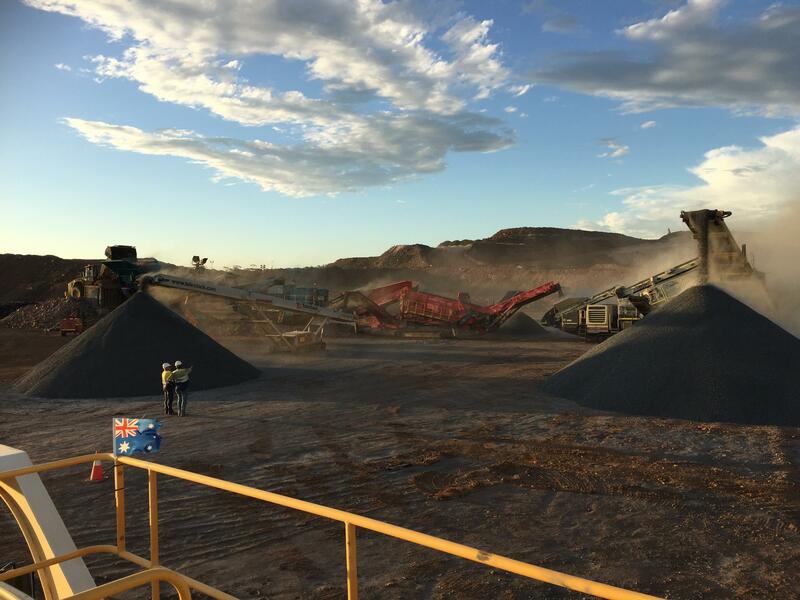 Notes: CSS Pty Ltd was contacted by Peter Crooks, General Manager of Western Desert Resources in January 2014. 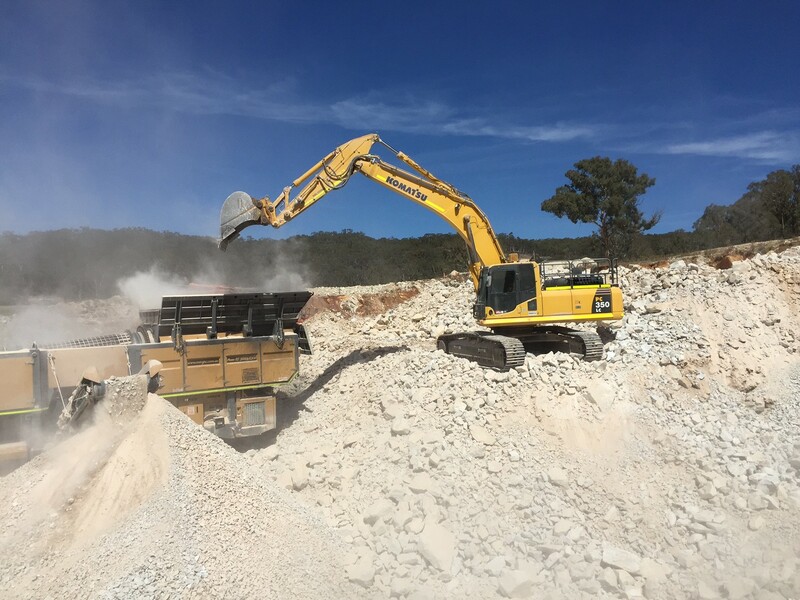 Due to the onsite crushing contractor not performing and a dismal safety record, CSS mobilised Project Managers and Maintenance and Production teams to take over Crushing and Screening Project Management. Within 30 Days Production was increased by 60% and no LTI reported, after all logistics and management and safety systems were Implemented. 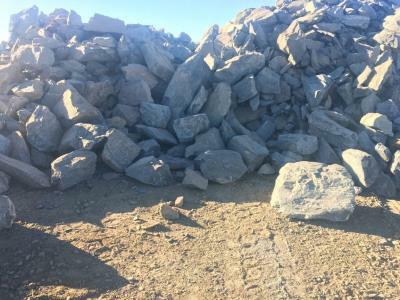 This site was handed back to owner operator at the end of June 2014. 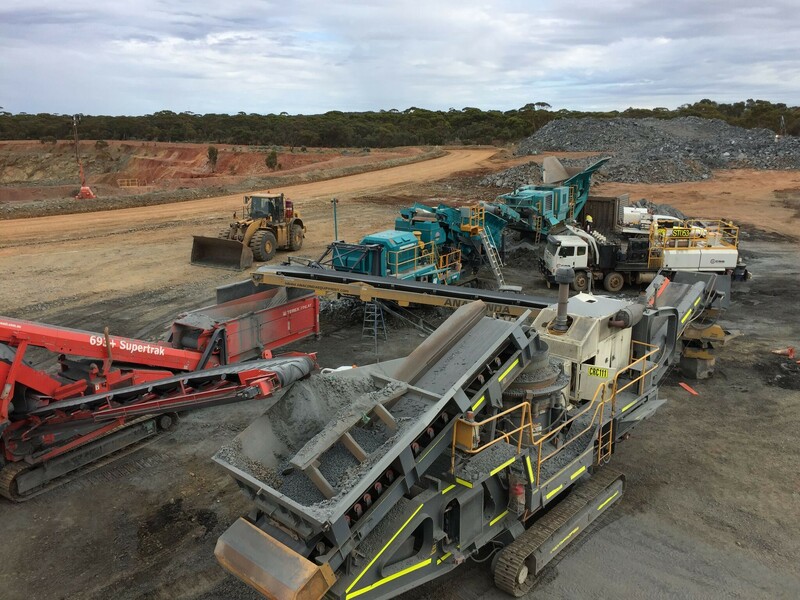 Notes: CSS Pty Ltd completed this project sitting under another contractor’s banner project parameters, complete project management equipment hire maintenance and operational support. 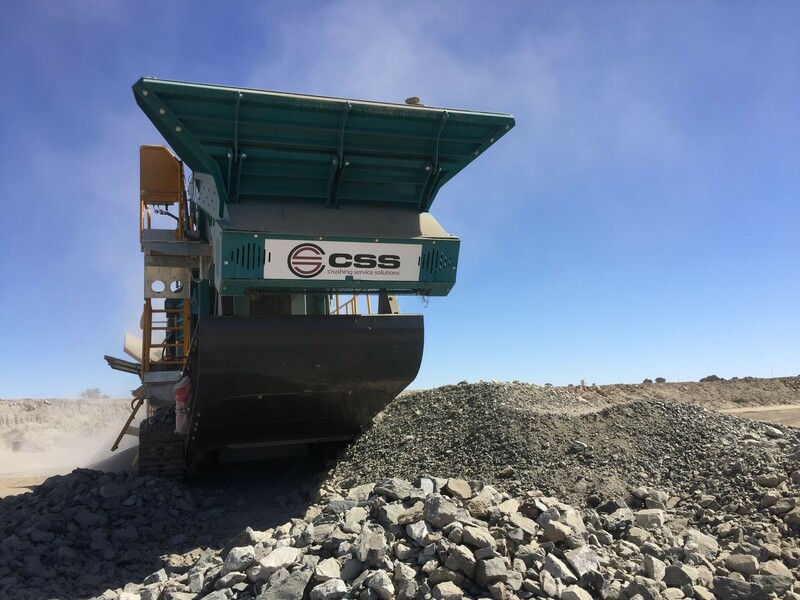 CSS personnel setup and executed the initial 1.8mt 6-month project professionally and on time to a strict rail and shipment schedule resulting in an 8-month project extension . 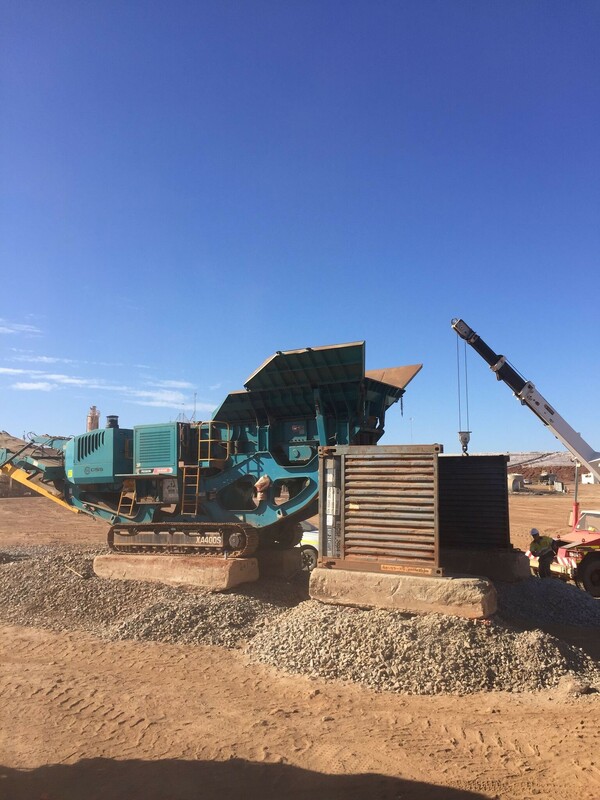 Project Parameters: Screen and Crush 200,000t/month Lump and Fines Iron ore, services consisted of project Management, equipment hire and complete circuit maintenance, CSS was contracted to operate and maintain site wet plant as well for a period of 6 months during initial start-up. 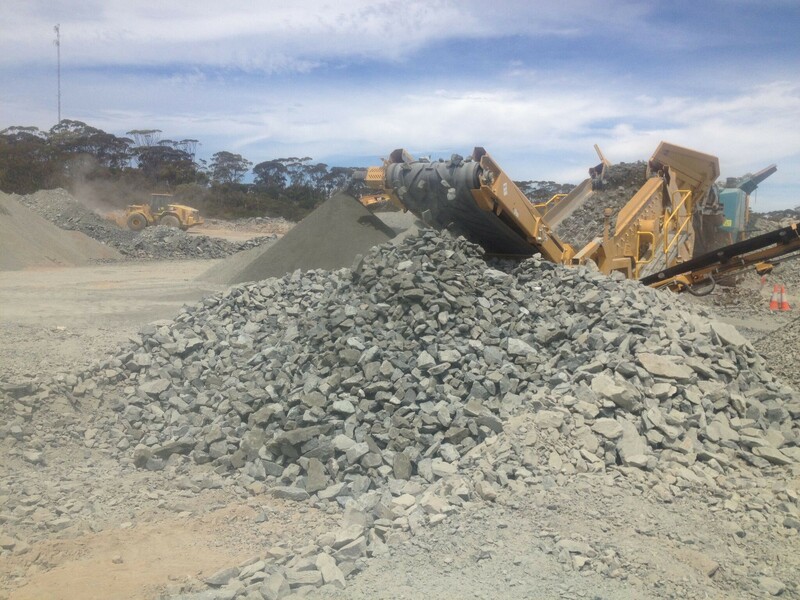 Notes: CSS Pty Ltd was contracted by Barminco at the start of the project, to turn a loss making project around where none of the project parameters had been met, over a period of 3 months the CSS team mobilised to site and restarted the project allowing Barminco to receive a 1 year project extension after the initial contract, when the Barminco Crushing and Screening contract finished, CSS in conjunction with the Owner operator project managed, and hired equipment to successfully run the Iron Ore operation till end of life in January 2015. 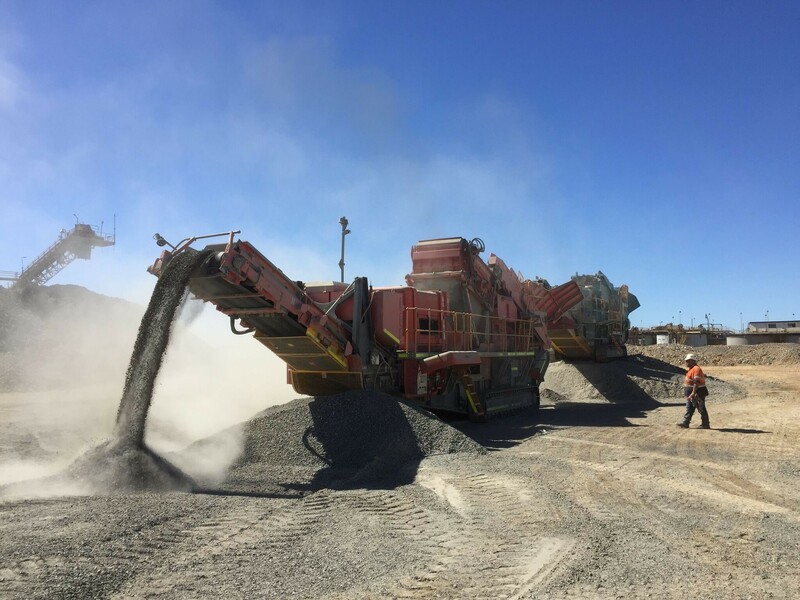 Notes: Involved with Setup and execution of 10MTPA project, this included 5 crushing circuits producing -12mm final product, 72 project team was involved, from operators, maintenance personnel, and planners etc.